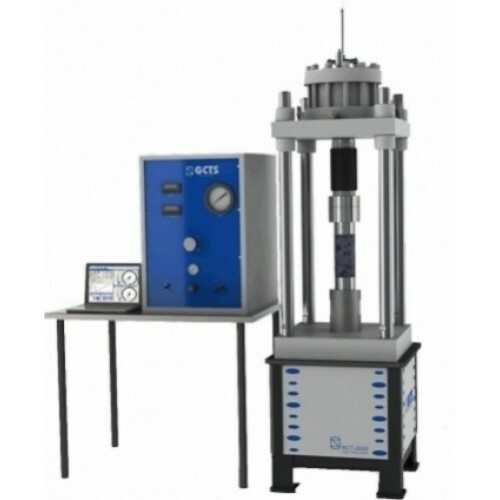 RCT-2000 Rock Creep Testing System - OFI Testing Equipment, Inc.
GCTS RCT-2000 Rock Creep Testing Systems is designed for performing long term tests without requiring a continued power input. It operates with only 800 kPa (100 psi) air pressure with minimum flow. This system can operate for several days without power, using a compressor with a large tank. The RCT-2000 includes a load and deformation digital indicators as well as an analog gage to read the applied load. Software and a USB based data acquisition are also provided to easily interface with a laptop for recording test data. 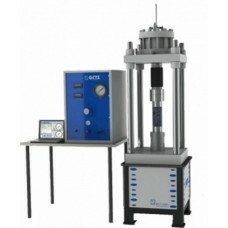 On-specimen deformation instrumentation can also be provided as well as triaxial cells and other testing components.